Submitted photo New Beavercreek Historical Society President Mark Wiley is welcomed by outgoing President Jill Kincer. BEAVERCREEK — Mark Wiley is the the new president of the Beavercreek Historical Society. Wiley was welcomed by the board of directors in a short formal approval session Nov. 8. The society’s outgoing president, Jill Kincer, had previously announced her retirement after several years in that office, but promised to remain active with programs and projects. “Good feelings abound! I feel very confident that he is certainly well qualified to take on this role,” said Kincer about Wiley’s new role. Wiley is a Beavercreek native, a small business owner with degrees in business and finance. As CEO of his company, Solar Integrated Resources LLC, he has a flexible work schedule which will accommodate the society’s varied programs. Wiley grew up on a farm on Grange Hall Road just south of the US Route 35 overpass, where there are now several modern office buildings. Wiley is married to Ruth Wiley, also a Beavercreek native. Ruth is currently the Beavercreek City Schools Elementary Curriculum Supervisor. He credits his wife with encouraging him to consider taking on this new role, as she is a strong advocate of the society’s Living History Program and also the co-author of the Beavercreek History electronic interactive program that all Beavercreek third graders study. The new president has agreed to serve through July for the remainder of the current 2018-19 program year, and fully intends to run for the office in July for the following year. He mentioned that his grandchildren are here too, so the family definitely has its heart in Beavercreek. 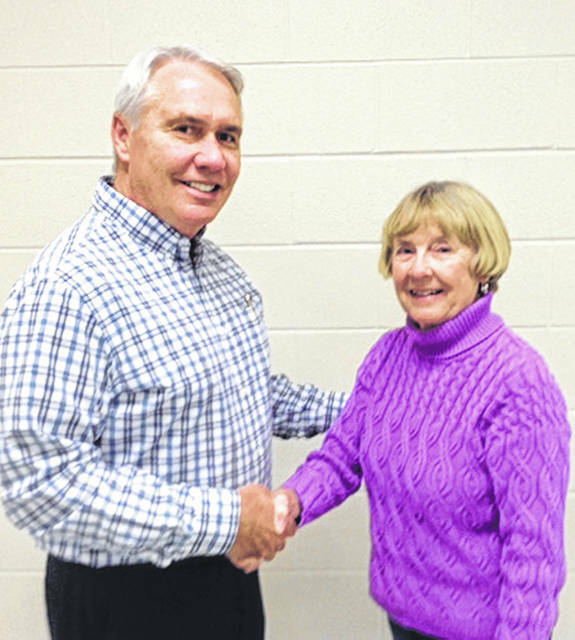 https://www.beavercreeknewscurrent.com/wp-content/uploads/sites/49/2018/11/web1_Historical.jpgSubmitted photo New Beavercreek Historical Society President Mark Wiley is welcomed by outgoing President Jill Kincer.